Thursday 12th July – Australian Market Wrap | Beeks Downunder-Because not all financial news is boring! ASX 200 rallies back on possible détente. Up 53 to 6268. High 6280 Low 6210. Same as yesterday! China hints at talks with Trump on tariffs. Banks back. All is forgiven on Byres speech. Healthcare/defensives ralliy hard led by CSL. CSL cracks $200 mark. Just. Energy stocks fall but could have been worse. BHP loses on oil price. Asian markets hit on MAD trade woes, Japan up 1.14% and China CSI 300 rallies hard +2.39%. AGO – unchanged – production report. Still backs Gina. MOC +3.50% new deal for franchisees. ORG -3.08% swoons on oil and gas inquiry. ELD +4.86% bounced off support. CWY +1.45% JV with NSW government. PLS +4.25% sold a little early. APT +4.33% research report from Clime. FNP -7.33% profit guidance underwhelms. A2M -2.96% question marks on growth. VRL -10.96% capital raising weighs. Z1P +5.73% following APT higher. AKP +4.93% on 700 shares. XRO +3.11% add-ins helping sentiment. SYD -unchanged – marching to the Gonski beat. Biggest fallers – FNP, FAR, SGF, SIG, BPT and ORG. A2 Milk (A2M) –2.96% Trading update. Group revenue for FY18 $NZ922m up 68% on year. A2M expects an EBITDA to sales ratio of 30% for FY19, consistent with the company’s expectations for FY18. Sydney Airport (SYD) – ANZ chairman David Gonski to join Sydney Airport board as a non-executive director from late September 2018. Praemium (PPS) +14.53% Record annual gross inflows of $3bn, up 50% on year. FUA up 35% on year to $8.3bn. Noni B (NBL) -+1.97% Trading update this morning with like-for-like sales up 4.5% with total sales $364m EBITDA now expected to be around $37m. Good progress being made too on the integration of recent acquisitions. A positive update and the market should take comfort from this. Mortgage Choice (MOC) +3.50% the board has approved a new broker remuneration model with the commission being raised to a 74% share from 65%. Guidance has been given to $23.2m – $23.4m. Mortgage Choice expects FY2019 cash and IFRS NPAT to be approximately $16.5m. Yojee (YOJ) – Fosters Stockbroking has launched a capital raising for $6m at 10c to “further build out Asia Pacific marketplaces, increase leadership in the company’s industry-leading smart technologies such as AI, blockchain, and logistics network interconnectivity as well as expand geographical sales presence” according to the term sheet for the capital raising. 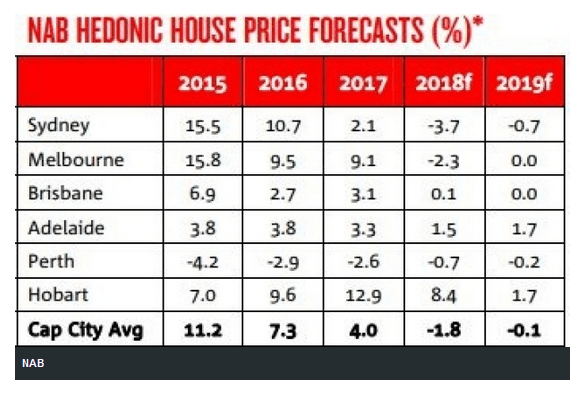 National Australia Bank has deepened the cut it expects on house prices this year to 1.8%from the 0.8% it forecast in April, and now expects a minor decline next year of 0.1%, in contrast to the 0.8% gain it was expecting in detached dwellings. NAB now expects more severe falls in unit prices this year and next than it was predicting, said any further tightening in credit – whether driven by financial regulation or governance concerns – could further worsen the outlook further. AMP raises mortgage rates by 17bps. Treasury Secretary John Fraser has resigned.Big surprise. ZTE has cleared a hurdle towards resuming operations in the US, after signing an escrow deal with the US commerce department. Broadcom has announced it will buy CA Technologies for US$18.9bn. 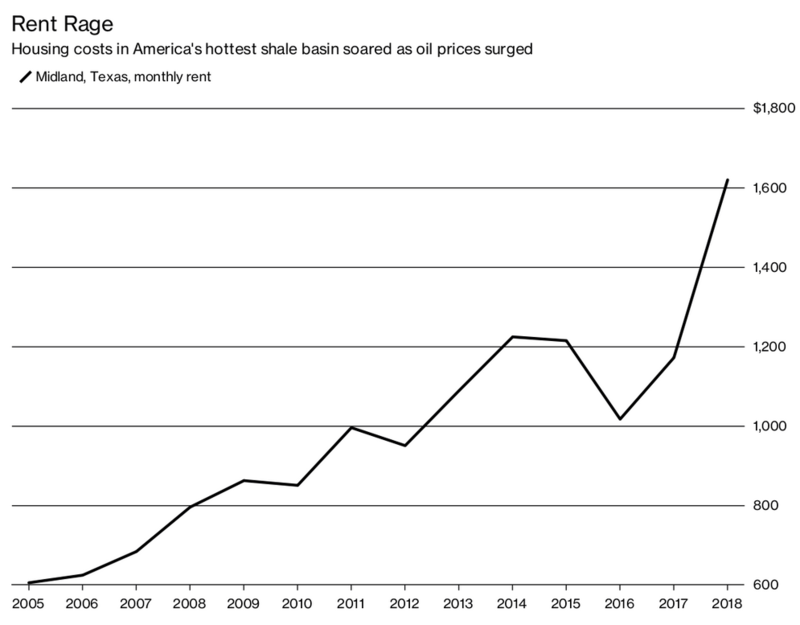 Here is the evidence of the oil shale boom in the US. Rents are through the roof in West Texas. 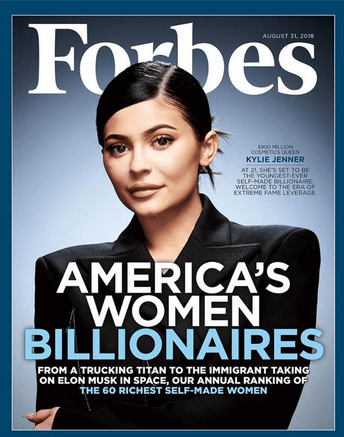 Kylie Jenner could be the worlds youngest billionaire surpassing Mark Zuckerberg. Really. No longer coming home directly. Now via Zagreb. Neymar goes into the Brazilian changing room to find all his team mates looking a bit glum. “Well, we’re having trouble getting motivated for this game. We know it’s important but it’s only England. They’re sh*t and we can’t be bothered”. Neymar looks at them and says “Well, I reckon I can beat them by myself, you lads go down the pub.” (he says in Portuguese). He is beating England all by himself! Anyway, a few more beers later and the game is forgotten until someone remembers “It must be full time now, let’s see how he got on” They put the TV on.